Please note that the implementation phase is likely to be reduced due to under-funding. A 7.7 magnitude earthquake in HINDU KUSH REGION, at 09:09:32.70 UTC on Oct 26, 2015 struck Pakistan, including the northern areas. The epicentre of the earthquake was 269 km NE of Kabul, Afghanistan approx. 350 km from Islamabad. Over 107,903 houses have been damaged, 280 people died and 1770 were injured. Relief activities were led by government agencies and supported by humanitarian agencies. Earthquake victims were given compensation grants by the Government. Caritas Pakistan responded to the needs of the earthquake victims and provided relief to 1200 affected families in district Swat. A powerful earthquake struck Badakhshan Province in Afghanistan on 10 April and also affected a large area of Pakistan. According to the US Geological Service the magnitude 6.6 quake struck at 10:28 UTC (UTC), at a depth of 210 kilometers, with the epicenter in Badakhshan, Afghanistan in the Hindu Kush mountain range. 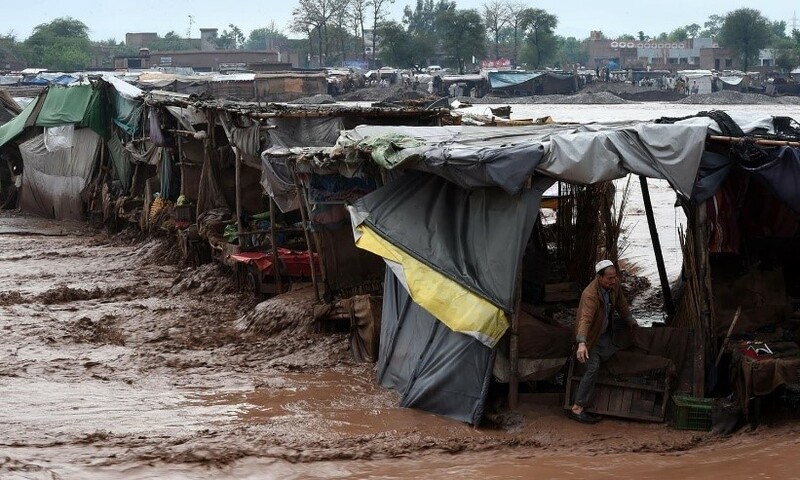 Considerable shaking was felt in Khyber Pakhtunkhwa (KP), the Federally Administered Tribal Areas (FATA), and Pakistan Administered Kashmir, as well as in the capital Islamabad. Initial reports from the Provincial Disaster Management Authority indicate at least 5 people have been killed in Pakistan with another 5 injured. A total of 20 houses were damaged with 13 of those in Buner district, KP. Many of the areas affected by the earthquake have also been experiencing unseasonal heavy pre-monsoon rains with 260 people killed, 228 injured, and 2,690 houses damaged due to flooding, landslides and collapsed houses since 9 March. A massive landslide struck at least seven houses in Kohistan district on Monday morning, burying alive at least 30 people. Kohistan Deputy Commissioner Fazl-i-Khaliq told journalists that widespread rains had softened up a huge portion of a hill which fell on the houses in Thor Nullah Bari area of Kandia tehsil. He said a police team had been sent to the area to ascertain the situation. Locals also rushed to the area, but could not start rescue work fearing more landslides. The terrain was very tough and recent landslides had swept away several roads therefore, district government had requested the Khyber Pakhtunkhwa government to send helicopters for rescue work. Both the events heavily increased the demands of the support and put extra pressure on Caritas Pakistan and other humanitarian organizations to provide assistance because of the fact that the government didn’t announce any compensation for the victims of both events. Many of the families were already affected by Earthquake of October 2015. The project is being implemented in Tehsils Babu Zai and Behrain in district Swat through Caritas Pakistan Islamabad-Rawalpindi diocese. There have been no geographical changes in coverage of the project. The security situation remains volatile and in an incident the Deputy Superintendent of Police (SSP) Legal of District Shangla Mr. Muhammad Ilyas Khan was shot dead by some unidentified armed men in Mingora on Tuesday April 12, 2016. The overall situation however will not affect the implementation of the project. 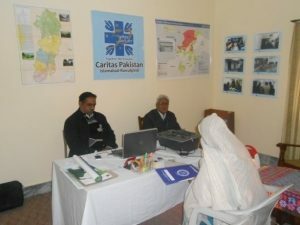 Caritas Pakistan staffs based in field have been coordinating with the security agencies. However, presently there are no immediate security threats or concerns in the field. Tense: Any incident in the area may increase the security level from normal to tense. Overall objective: To restore the lives of earthquake victims through provision of winterization, increased access to water, livelihood restoration, shelter and education. To increase access to safe drinking water, improved hygiene practices and sanitation facilities for 2,500 families. To provide adequate living conditions to 500 earthquake affected households and to meet immediate NFI needs of 1,500 households. 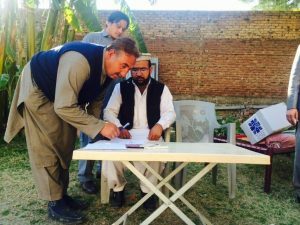 As a follow-up to the Rapid Response through which rapid relief was provided to earthquake affected families of District Swat, EA01/2016 Pakistan Earthquake Rehabilitation has been launched with the purpose to fulfil rehabilitation needs through NFIs, Shelter reconstruction, Livelihood and WASH interventions. Caritas Pakistan initiated the implementation of EA01/2016, local staffs have been hired and social mobilization process has started. The pre-established Field office at Presentation Convent (Public School run by Presentation Convent sisters) Sangota has been operationalized. . An agreement has been signed with the management. The Community Mobilization process was completed in target areas with proper participation of women. Community Development Groups (CDGs) were formed, beneficiary selection criteria was shared and mutual understanding and agreement developed. Five water supply schemes have been selected by CDGs in five villages of district Swat. These were badly damaged and stopped the supply of water to seven hundred families affected by October 2015 earthquake. Village level committees were formed with inclusion of local masons to prepare the details list of Bills of Quantity . Result 2.3: 250 community members/masons have appropriate knowledge/skills and are enabled to build resilient houses. 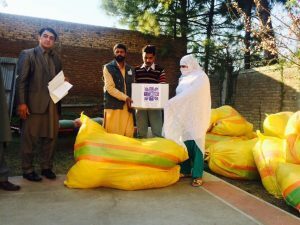 Caritas Pakistan conducted the first distribution of Winterization kits on February 18, 2016 in Tehsil Babuzai, Union Council Saidu Shareef, Villages i.e. Shaheenabad, Afsarabad, Akhoon Baba, Chail Shagai, Saidu Shareef and College Colony. Field team along with CDGs conducted assessment and enlisted of beneficiaries on February 14-15, 2016. Local elders were consulted during enlisting. The preference was given to widows, orphans and poorest families residing in totally or partially destroyed mud houses. To ensure the transparency, distribution coupons were distributed prior to the distribution on Feb 16, 2016. Upon distribution, the recipient coupons were verified and the items were given to the beneficiaries. Out of 185 families, 40 were women headed and the women themselves received the items. Local representatives and district government officials also participated. The vulnerable victims especially women and children received the necessary items for winter season. As it is a hilly area and the weather was very cold due to snowfall a week before, winterization items facilitated them to be safe from harsh winter. Five households have been selected for the repair of toilets by CDGs, Caritas Pakistan will support these households with materials. Toilets were damaged due to October 2015 earthquake. The selection of households for shelter support has also been initiated, CDGs are leading the process on the ground with technical inputs from Caritas Pakistan’s field team. Selected households will be provided with construction material for which consultation with local masons and selected households will be carried out. Caritas Pakistan has also initiated the procurement process on the ground, priority will be given to local vendors in delivery of material to selected households. Protection: Caritas Pakistan organized distribution in fool proof security and made sure that communities are not expose to any harm. Community Development Groups (CDGs) equipped with relevant knowledge and skills of the intervention and selection criteria and made sure and that their safety and dignity is not undermined by the response. 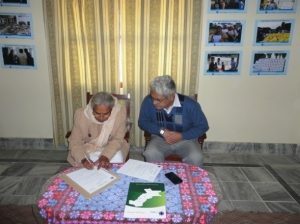 Caritas Pakistan has planned to reduce targets due to underfunding of the appeal. Furthermore Caritas Pakistan is planning to close the appeal earlier, a revised buged are reviewed implementation timeframe will be shared soon. Caritas Pakistan team has conducted meeting on Feb 11, 2015 with district government officials and shared the rehabilitation plan. A Representative of the Provincial Disaster Management Authority (PDMA) was also present in the meeting. As per request of Caritas Pakistan Islamabad-Rawalpindi district government allowed implementation in the field. Caritas Pakistan team consisted of Mr. Victor Shad diocesan Executive Secretary, Mr. Kamran Sattar Diocesan Emergency Coordinator and Mr. Titus Gill Field Officer. Caritas Pakistan has conducted a meeting with Islamic Relief and shared details of target areas of Caritas Pakistan rehabilitation phase with the purpose to avoid duplication. 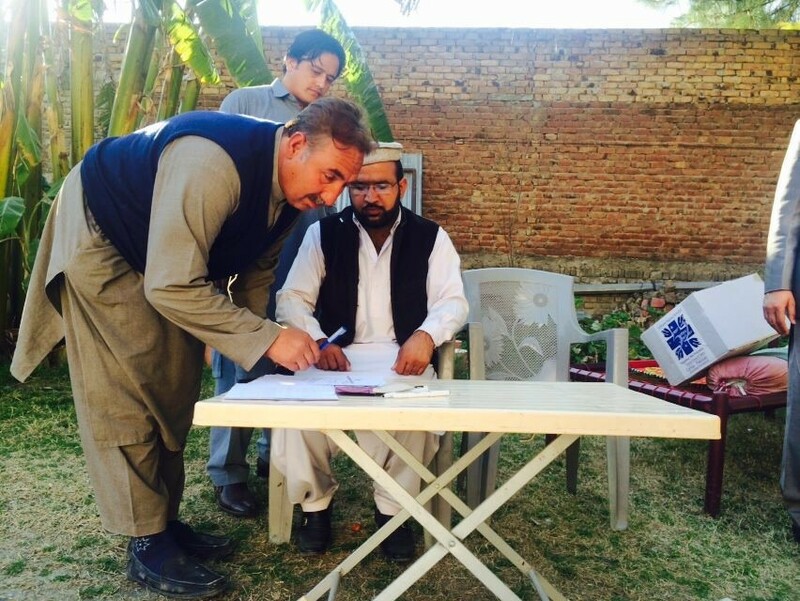 Islamic Relief is working in the earthquake affected areas since relief phase. Caritas Pakistan organized meetings with district government officials involved in rehabilitation of earthquake victims and shared three months plan of actions.Government officials shared that some connecting roads are still damaged and remote villages are not accessible due to heavy rains in last two months. Meetings were also organized with Islamic Relief, Trocaire, Idea and Provincial Disaster Management Authority (PDMA). Caritas Pakistan initiated the rehabilitation phase with the balance from the Rapid Response EA 33/2015. However, it has been very challenging to ensure continuity in field operations due to the delayed transfer of pledges (transferred about two months or more following the launch of the Appeal). This has significantly negatively impacted and even disrupted the foundation set during the Rapid Response with District Government officials and beneficiaries. At present , Caritas Pakistan has received additional transfers which allow activities to be resumed. Caritas Pakistan shared the detail of planned interventions with District Government, Community Development Group (CDG) and beneficiaries. All the stakeholders were involved in implementation of the intervention and beneficiaries were also provided with the list of winterization items with specification. Secondly, beneficiaries are well aware to whom contact in case they have any complaint. Caritas Pakistan has planned to conduct an internal review after the end of the program. According to the CI tool kit as per given scenario an external evaluation is not required (budget lower than 250,000 euros).